To communicate effectively with your team, it can help to have an understanding of what's going on in the classroom. Check out our guide to Science in the Classroom to see what the lives of middle and high school students are like, and to learn about the current climate for inquiry in the classroom. Many students don’t often get a chance to get to know a scientist. Many have never met a professional scientist, and may have some pretty negative ideas of what science and scientists are like. We’ve found that the PlantingScience mentoring process is a very powerful way for students to realize that scientists are just people, with hobbies and lives much like those of people in any other profession. 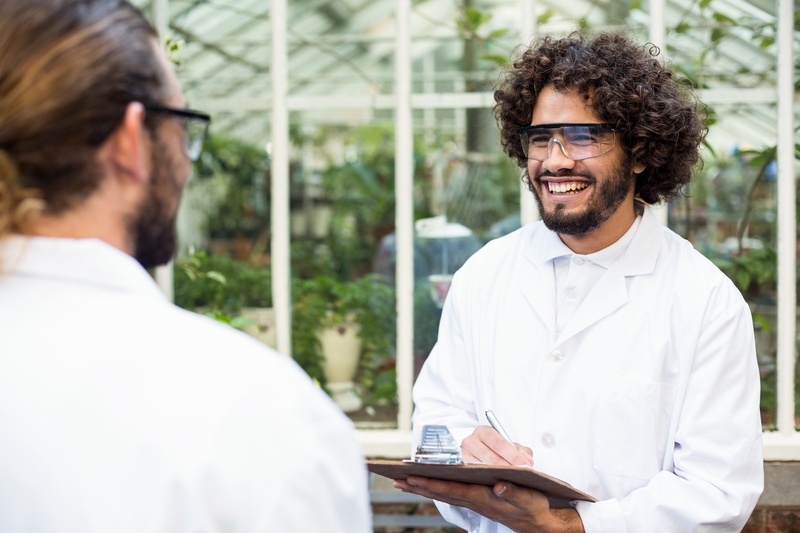 Often getting to know a scientist can make science as a discipline seem much more approachable and less intimidating. So, it’s often valuable to share a little about yourself with your team, within your comfort level. Do you have pets, children? What are your hobbies and interests? When did you decide to become a scientist? What first got you interested in science? What is a typical day like for you? Do you have any interesting field or lab stories that you can share? These personal anecdotes can go a long way towards making a connection with your student team, and toward improving the communication about the project as well. Am I Making Sense Whatsoever to the Students? Mentoring students through an asychronous blog/online conversation presents some challenges that you might not face with your own students. Anticipate that building a productive dialog may happen more slowly than in a face-to-face situation. Seek to establish open, frequent communication with the students and clarify expectations with the teacher and share expectations with your team at the outset. One challenge in working with students of any age is language. As scientists, we become comfortable with jargon unfamiliar to most family and friends, let alone teachers and students. Good teaching (which is what you are doing online) is about being understood and checking for understanding. If it becomes clear that students are not getting a point or not responding to a question, try rephrasing or approaching the topic in another way. If the team is still not showing understanding, you may need to continue to simplify and modify your expectations accordingly. The class teacher may also have suggestions for communication strategies with a particular team, or can help you align your expectations so that you are challenging the team but not overwhelming them. Think 2 sentences, no jargon, few uncommon words. On the other hand, there are teams that may exceed your expectations. Many teams will raise the level of their conversation when challenged. Some high school students may be capable of communicating at an undergraduate level. Be aware in these cases that although one or two students may be adept communicators, by increasing the complexity of your posts you may lose less adept members of the team who have difficulty following posts that are wordy or include long and complicated sentences or uncommon words. How Do I Know What the Students Know? Start by uncovering the knowledge that your students have. Help students see what they truly know and get them thinking about what it means. Encourage students to make links between everyday experience and the research they are doing. Bring students’ attention to plants outside their classroom and encourage broader observation. When students are in the process of learning to communicate and understand the English language, they are especially in need of simple, short communications with a clear purpose. The blog posting tips provided are especially important to follow, and it’s a good idea to check regularly for understanding and rephrase key questions or responses when necessary.